Imagine not just finding a rare muscle car, but one that is in pristine condition and has never been ever registered. This is the case with this 1987 Buick GNX. 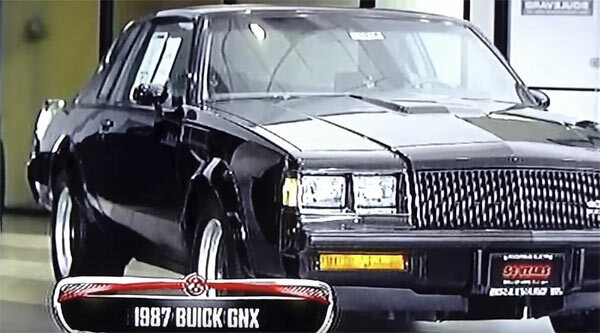 The Buick GNX was the last dance for Buick’s Grand National and was arguably one of the standout vehicles of the 1980’s when it came to muscle cars. Capable of doing 0 to 60 in 6 seconds with 276 HP. This example is still at its original Buick dealership, in Signal Hill California and has never been registered, still looking as good as the day it was produced. This video is a bit of a dodgy filming of another screen, but it does get the point across of how unique this Buick really is, not just as a rare muscle car, but also as a unique time capsule. Related Items1987 Buick GNX Grand National Never Registered!